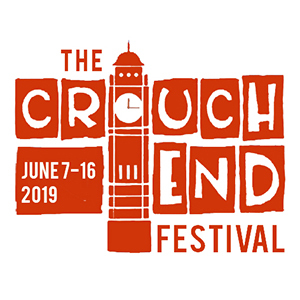 Crouch End Festival is a community-based summer festival project, run by a small team of volunteers and funded by local businesses and people. 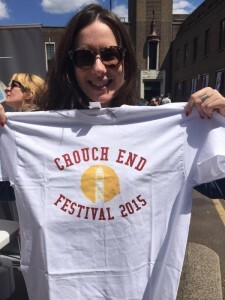 The festival celebrates local creativity and culture across the Crouch End, Hornsey & N8 area. Happening over 10 days, there are always record numbers of events taking place – over 250 last year, at the Town Hall, and in church halls, restaurants, cafes, shops, galleries, cinemas, and a number of unusual locations (such as the Intimate Space in St Mary’s Tower). Local schools are always represented too, with a day of performances of music and dance. You’ll find a mix of film, animation, photography, art, poetry, spoken word, drama, dance, puppet theatre, comedy, and music of every genre. A popular Saturday evening annual event is the Zombie Walk through Crouch End, leading to the open air film. There are also plenty of workshops for adults and kids. And over its time, the festival has also hosted special days such as a Latin culture day, and a Health and Wellness day. This year has presented certain challenges as Hornsey Town Hall is not available due to renovation works; instead we will be presenting the opening weekend of events at Stationers Park so do please make a note of the dates and come along – whether you’d like to get involved and help us out or put on an event, please get in touch too. You’ll find craft markets, childrens’ events and plenty more. The same team are behind the Crouch End Christmas Market, and was instrumental in bringing a Christmas Tree back to Crouch End centre.